Is There Something Beyond Budgeting? Forecasting is an integral part of the business planning and budgeting process. Presumably the forecast (which should be an "unbiased best guess" at what is really going to happen in the future) can provide a reasonable foundation upon which the annual budget and operating plans are based. Build a plan based on assumptions about the external world (the economy, customers, and competitors) and internal assumptions about initiatives the business will take. Most industry practitioners are probably in the midst of their annual budgeting process right now. Lock the final plan into a budget, broken into fine detail (by departments, categories, etc.) and time-phased across the year. This becomes the basis for the planning and control of the business. As the year unfolds, management exercises control by comparing actual outcomes to the budget, identifying variances, and perhaps taking actions to get back on track. But does it have to be this way? Is there something beyond budgeting? I've long been a fan of Steve Morlidge's work in the forecasting field (just check the BFD's Steve Morlidge Archives and his excellent book Future Ready). But before focusing attention on the problem of business forecasting, he spent many years in a traditional financial role at Unilever. In 1998 Steve engaged Unilever in the Beyond Budgeting Round Table -- a research collaborative that gave birth to the concept that companies can survive and thrive without the traditional budgeting process. 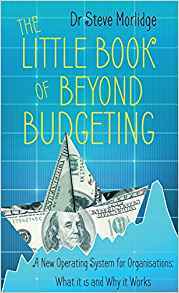 Steve shares the breadth of Beyond Budgeting ideas -- and the implications for business performance and organizational life -- in his concise new book, The Little Book of Beyond Budgeting. The Beyond Budgeting approach recognizes many problems with the traditional budgeting process, and traditional business management in general. The annual budgeting process is time consuming (taking months to complete), costly (utilizing many hours of high-cost management time), and as a practical matter, a major annoyance when you are trying to run your business. What's worse, once set, the budget is inflexible and difficult to adapt. Yet many businesses exist in volatile and inherently unpredictable environments. When updated forecasts reveal an unfavorable variance to the fixed budget, the far easier resolution is to just change the forecast to eliminate the variance. Assessing performance versus the budget encourages gaming -- negotiating low targets, and adding buffers to cost budgets. There may be insufficient incentives to exceed targets (why accomplish more than you have to?). And there is every incentive to spend your full cost budget even if there is no good use of the money (for risk of having an unspent balance cut from future budgets). Beyond Budgeting is characterized by flexible financial management processes and a devolved organizational structure. It allows businesses to adapt to their environments more effectively than those with traditional fixed budgets and functional hierarchies. 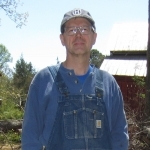 Steve has written a kind of "pocket guidebook" -- physically small enough to slip in a shirt pocket, and brief enough to read on a cross-country flight. For those without the time or inclination to read works in a similar vein (scathing critiques of typical management practices like Deming's Out of the Crisis, or Wheeler's Understanding Variation), this book cuts to the chase without oversimplifying the subject or intimidating with technical details. This book won't teach you any grand new forecasting methods. But it does illuminate the troubling usage of business forecasts in the traditional management environment. Find more information on the Beyond Budgeting website, and become a basic member of the BB round table for free.